Recently, a major security vulnerability named "Heartbleed" has made headlines around the world. This is a severe vulnerability stemming from a coding mistake in a widely-used security utility called OpenSSL. The bug affects the encryption technology designed to protect your sensitive data on the Internet, like usernames, passwords and emails. This is a flaw in the OpenSSL encryption code, not a virus that can be stopped by McAfee or other consumer security software. Because this vulnerability takes advantage of servers, and not consumer devices, businesses need to update to the latest version of OpenSSL to mitigate and address the dangers posed. If we are Your-Web-Guys, then you have little to worry about concerning your own website. Our systems were never vulnerable to Heartbleed in the first place because our servers run on the freeBSD operating system rather than linux or unix or other OS's. freeBSD runs the OpenSSL 0.9.8 branch which is not vulnerable to Heartbleed. However, that does not mean that you have nothing to worry about in regards to your personal activity on other websites. 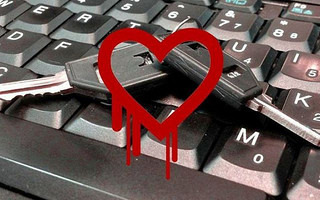 The severity of the Heartbleed vulnerability cannot be overstated: several major enterprises use OpenSSL, and are likely affected by this vulnerability as well. The dangers posed by this vulnerability are very real and could affect you if exploited. Right now, the best thing you can do is wait to be notified about affected services and patches or you can investigate this list provided by Mashable that has some well known brands listed. If you'd like to investigate whether or not a website you frequent has been affected, you can use this tool. Reset your password for every online service affected by Heartbleed. But beware:you should only change your password after the afflicted business has fixed its servers to remove the Heartbleed vulnerability. Changing your passwords before a company's servers are updated will not protect your credentials from being leaked.